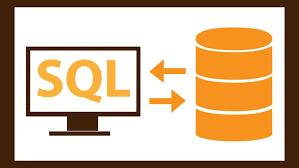 SQL (Structured Query Language) is for Database Developers, Database Administrators, and Database testers. Software that stores and retrieves data in a database. It may be self-contained program or the part of DBMS that performs the storage and retrieval operations. Database Management Systems provide Database server functionality, database server provides database services to other computer programs or computers. > Each column contains a different type of attribute and each row corresponds a single record. Download and Install MS SQL Server Express Edition (It is Free Edition) and practice SQL Commands and Operations. Drop Table command is used to delete complete Table (Data and Table Structure) from the Database.